We would like to introduce you to Lara and Caitlin, the power team behind Melbourne textile company Ink and Spindle. Hi Lara and Caitlin. Firstly, how did you come together to create Ink and Spindle? Do you both have backgrounds in textiles? Caitlin and Lara both came to textiles from diverse backgrounds – Caitlin has a background in Landscape Architecture and Interior Design, Lara has a Graphic Design background. We both had a love for textiles and were working independently on our own textile collections before coming together. We at Apiary Made absolutely love your work and designs, but we also love the ethos of your business… Can you tell us a bit more about your stance on designing for longevity rather than trends and why this is important to you? We are on the cusp of an environmental crisis, and feel that rampant consumerism is a huge part of the problem. Conscious consumerism, choosing sustainable & organic products that have inherent longevity are a fundamental part of the solution. 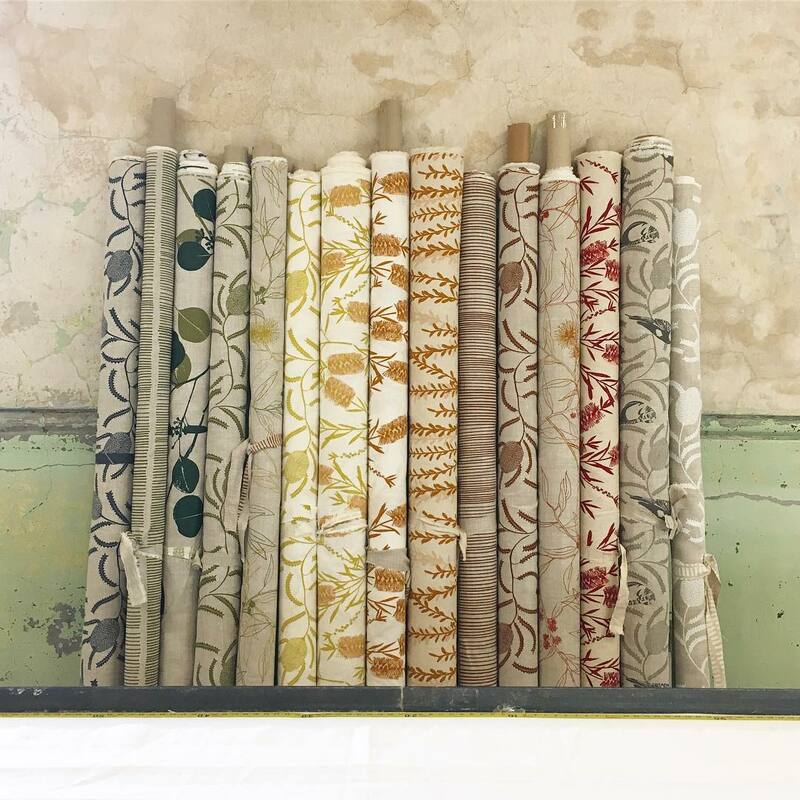 We design our textiles to last, both in terms of the materials used and the timeless aesthetic of the designs and colour palette. We see you moved not too long ago into a space in Abbotsford… how is it going? what do you love about your new environment? Our new studio in Abbotsford is just lovely. Not only is it great to be part of a thriving creative community, but the space itself is light filled and beautiful, and looks out over the Collingwood Children’s Farm and Yarra River. The space was also perfect to open up a retail space where we can display our fabrics and range of homewares & accessories. Can you describe a normal day at the Ink and Spindle headquarters? Every day is a juggle of multitudinous tasks! Responding to emails, packing online orders, planning new projects and of course printing meterage! We have a 13 metre printing table onto which we lift our huge 1.8m x 1m screens, which require two people to handle at all times. 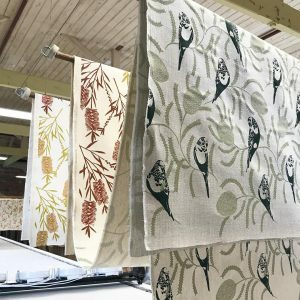 We print our designs in repeats down the length of the table, and once dry we often come back to add a second layer of the design in a different colour. 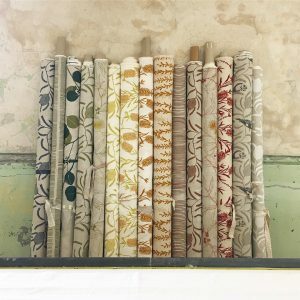 What are some innovative or exciting projects (or objects) you’ve seen your fabrics used for? 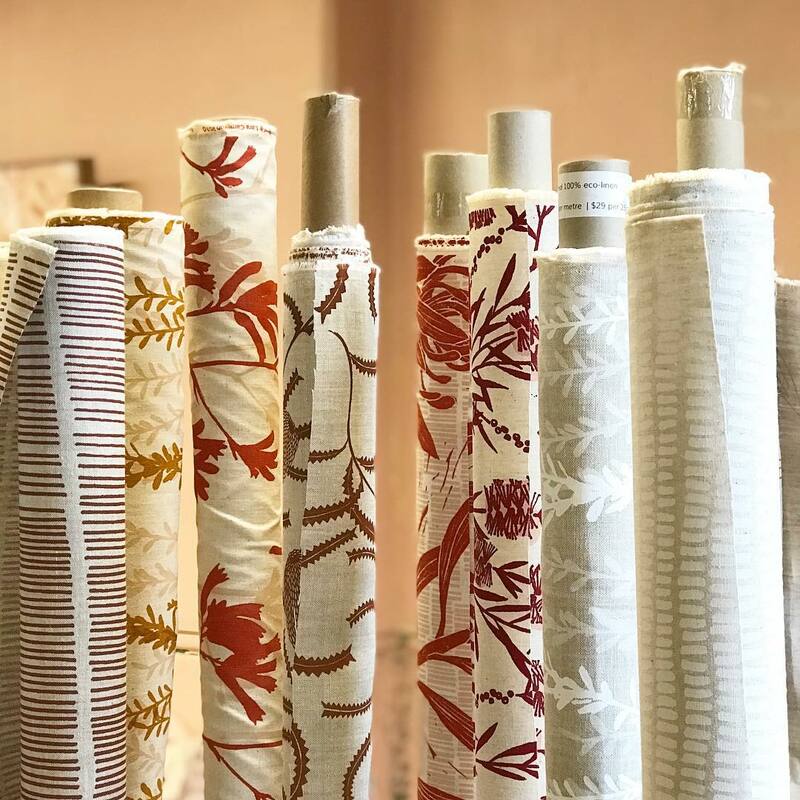 We absolutely love seeing our fabrics turned into Apiary Made beeswax wraps, of course! We stock them in our shop also and they fly off the shelves. Most other uses aren’t necessarily “innovative” but we love some of the custom colourways our customers order to suit their special project. 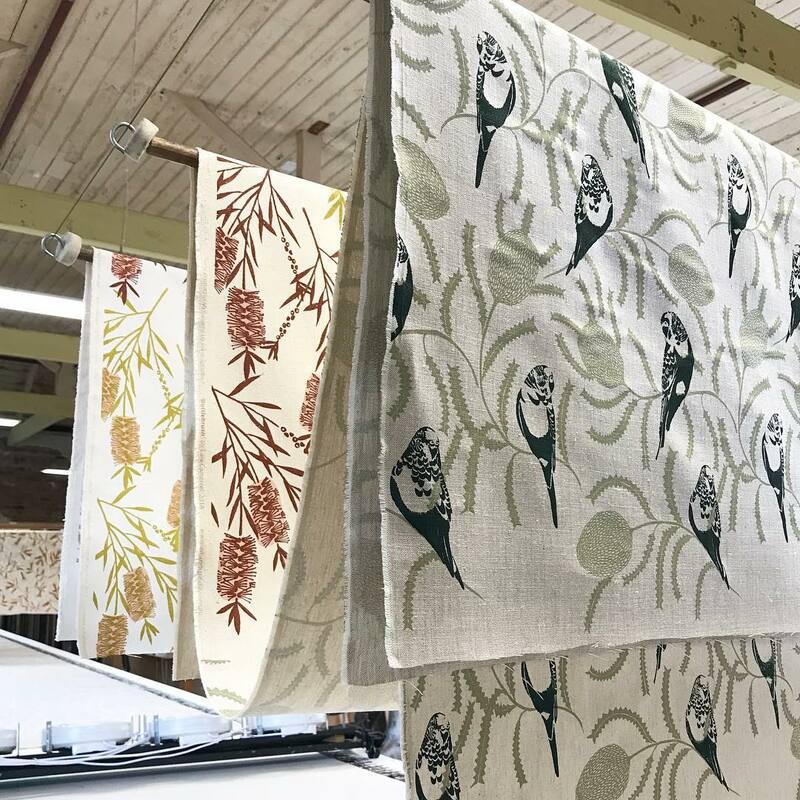 Eg restoring mid-century furniture, or custom made curtains & blinds for their home. Do you have an all-time favourite print/design? Probably our Silver Dollar Gum – it has been a long time favourite with our customers who love having us print it in custom colourways! 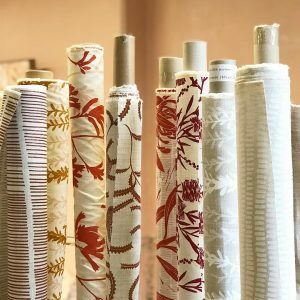 We’re looking forward to introducing some dyed linens into our range, which are of a weight suitable for soft furnishings, bedding and apparel. We’d also like to experiment with some natural dyeing techniques and see how they can be scaled to suit our processes.